KIEV, April 7. /TASS/. 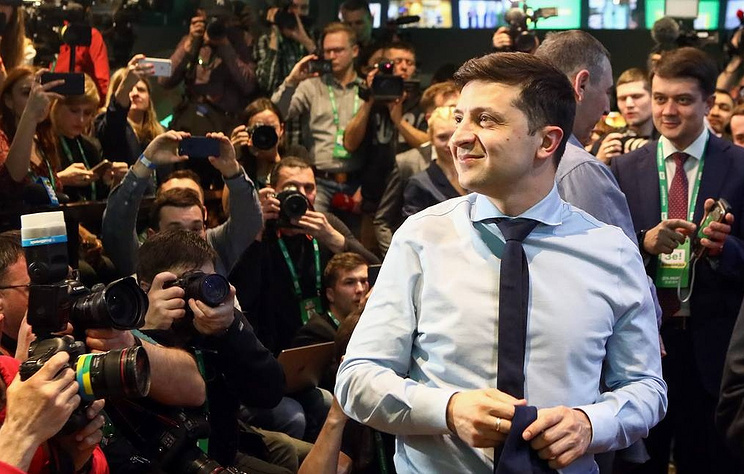 Ukraine’s presidential contender Vladimir Zelensky will try to reach a ceasefire in Donbass as soon as possible in case of being elected, he said in an interview with the Ukraine TV channel on Sunday. “Ceasefire in the east, for a start. We cannot afford a long process,” he said. Hey Buddy!, I found this information for you: "Zelensky says he has no plans to delay in peacemaking in Donbass". Here is the website link: https://russophile.org/zelensky-says-he-has-no-plans-to-delay-in-peacemaking-in-donbass/. Thank you.